Spur shelving systems are available in a number of colours; including frost white, office grey, matt silver, brown, blue & black. We are also able to supply bespoke RAL and BS coloured items to match your requirements subject to clean down and powder costs. New ranges include the Spur rolled edge document shelving system, Strongbeam Eland brackets , British Standard angle post shelving and the Zamba free standing adjustable industrial range. 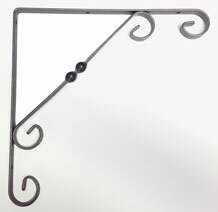 Production has also re-started making wrought iron decorative brackets hanging basket brackets and many other Spur brand products. 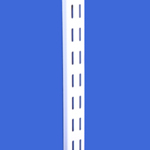 Wall mounted uprights are available in 170 (single level), 520, 710, 1000, 1510, 1795,1980, 2200 and 2400mm lengths. 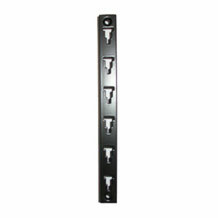 Slots for this system are on a 31.75mm pitch - UK standard. 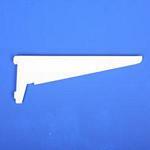 We also make a Euroslot version with a 32mm pitch. 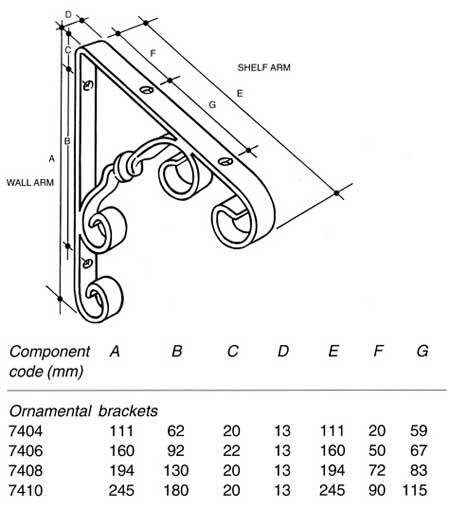 Shelf brackets are available in 145, 220, 270, 320, 370, 470 & 610mm lengths. 120 &170mm heritage sizes available to order. 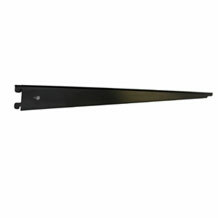 Wall mounted shelf uprights are available in 610, 920, 1220 and 1830mm lengths. These brackets are now back in production in raw aluminium and powder coated finishes. 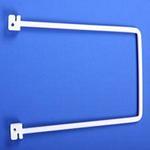 Reinforced brackets are available in 470 and 610mm lengths. Available in 150, 200 and 250mm lengths. 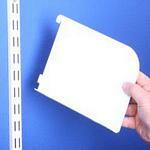 These clip into the twin slot upright to give a solid fixing, preventing books and documents from sliding. 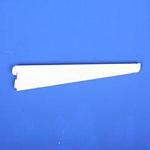 Available 1000mm long as standard but special lengths can be made to order. 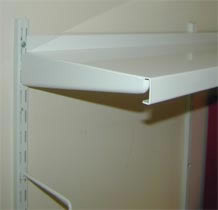 Shelf depths 150, 220, 270, 320, 370, 470 and 610mm deep. 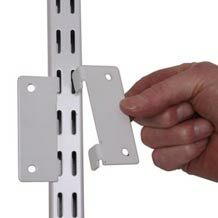 Designed to support wall mounted cupboards, white boards, paneling and other accessories. 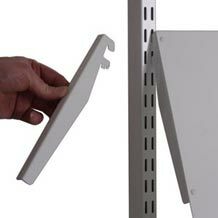 Designed to support wooden shelves which may be independently adjusted using a single slot. Available 150mm high x 150mm, 200mm, or 250mm deep. Please E-mail us, or simply call 01805 624062 to discuss your requirements with one of our trained staff. Spur ® and Spur Shelving ® are the registered trade marks of Storage Solutions Ltd.